For the die-hard peanut butter addicts who love the taste but hate the fat or calories, here’s something to consider. A friend recently tipped me off to a place in Tifton, Georgia making peanut butter with 85 percent less fat and calories. Bell Plantation is an agricultural research company that first purchases peanuts from farmers around the state. After crushing the peanuts and extracting all of the oils (for peanut oil), they are left with a powder that one mixes with water to create a peanut butter spread. The powder is all-natural and preservative free. I ordered a box to test the powder, and the stuff is fantastic. The recipe says one tablespoon of water for every two tablespoons of powder, but you’ll need more water to reach a smooth consistency. Taste wise, the spread, by itself, is full-on peanut-y but the finish is a tad chalky. That being said, it’s light and lacks the heavy, oily robustness of its store-bought friends. Wyatt Williams called it, “The Miller Lite of peanut butter.” He clarified that this was a compliment. 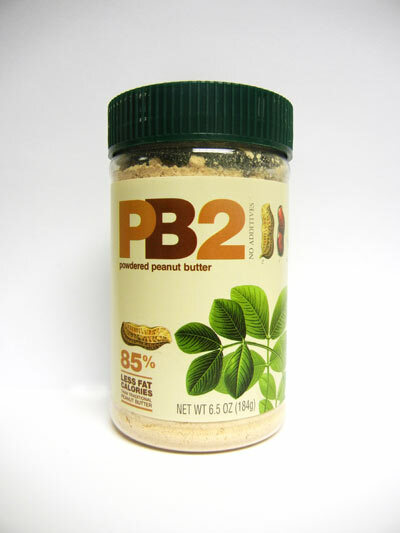 For maximum enjoyment, pair PB2 with something else (a peanut butter and banana sandwich on toasted bread is fantastic). Bell Plantation was founded in 1991, and PB2 has been on the market for a while, but the health-and-taste-friendly spread doesn’t seem to have much traction. Bell offers other products like peanut butter crackers and even a chocolate peanut butter powder. Their website has nearly 200 recipe suggestions for how to incorporate the powder into entrees, sides, desserts, and even drinks. Do Hershey’s Georgia-branded honey-roasted peanut Reese’s Cups improve the perfect candy?